Rock Lobster or Spiny Lobster is a sea crayfish, imported into the United States in the form of frozen tails, frozen cooked meat or frozen canned meat. Spiny lobsters are found in Australia, New Zealand, Ireland,South Africa, and the Bahamas, called crayfish, sea crayfish or crawfish, also known as kreef in South Africa. The spiny lobster on the menu, is quite different from the familiar Maine Delicacy. They are cnot just different in the anatomy but also in taste. Spiny lobsters, are tougher and their taste is not so rich as that of a Maine Delicacy. Spiny Lobsters do not have claws. 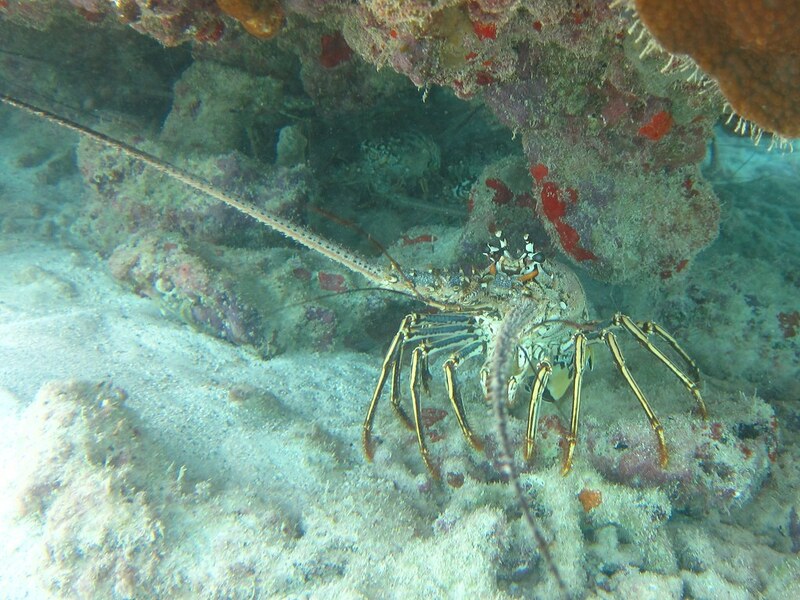 But spiny lobsters delicacy have their own taste, which is quite delicious. Spiny lobsters have more meat than the lobsters in New England. These usually reside in the coral reef and rarely come out at night to seek snail’s, clams, sea-hares,crabs etc. Sometimes, they migrate in long groups, across the sea floor. If you are lucky enough to get a whole spiny lobster, you can make a wide variety of tasty dishes. These dishes are really tasty and bound to make the lobster lovers happy. In order, to boil a spiny lobster. First,place the head of the lobster into boiling salt water. Then, simmer for 12 to 15 minutes. To boil its tail, repeat the same step, except for the cooking time. Reduce it to 5-10 minutes or based on its size. The shell of a spiny lobster, turns bright orange when cooked. and finally, one butter stick unsalted at room temperature. Boil the lobster until it turns bright orange color. ( Steps to boil the lobster are mentioned above). Remove it from the water and cut the lobster in half. Then brush it with olive oil. Then season with salt and pepper for taste. Grill it for four to five minutes, cut it side down until just cooked through. From the outer shell portion, remove its meat and then chop it coarsely.Over high flame, heat a medium sized pan. Heat olive oil and then add onions, garlic and cook until its soft. Add the curry powder to it and reduce flame to medium. Cook for 10 minutes and remove from heat. Blend the curry mixture, Mayonnaise and lime juice in a food processor until it is smooth. Then, season with salt and pepper. Refrigerate for 2 hours. Mix the lobster, celery, bell peppers, onion, mayonnaise and cilantro in a large bowl. Then, season with salt and pepper. Split up the rolls and then, brush it with butter. Toast rolls in a pan or grill split-side down, until golden brown, for about 30 seconds. Fill the rolls with the lobster salad and that’s it, time to dig in and savor the taste of this mouthwatering, delicious dish. Spiny lobsters are found in regions with warm seas, like the Caribbean and the Mediterranean sea. These are very much different from the original lobsters, both in anatomy as well as taste. But still they are delicious and has more meat, than ordinary lobsters.